Anyone diagnosed with melanoma after taking an erectile dysfunction drug is encouraged to visit DrugNews or speak with a lawyer about their legal options. The prescription drug safety advocates at DrugNews.net are alerting patients who have taken popular erectile dysfunction drugs like Viagra of new information on the site. A recent study found that men taking these medications were nearly twice as likely to develop melanoma skin cancer*. DrugNews is a free resource for patients taking popular prescription drugs. By providing the latest recalls, safety alerts, research and litigation news, visitors can recognize potential dangers, see if others are experiencing similar side effects and decide if they need legal advice. 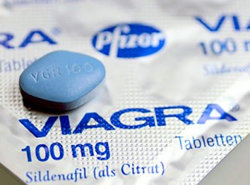 Viagra, or sildenafil, has been taken by an estimated 23 million men worldwide since it was introduced in 1998**. Now, DrugNews has learned of a new study published by the American Medical Association finding those who have used the drug have a 84% higher occurrence rate of melanoma*. The results were based on a study of more than 25,000 men of an average age of 65***. Researchers found the results held true regardless of whether patients had a family history of skin cancer, lived in areas with high ultraviolet light exposure, or had other kinds of cancer***. Melanoma is diagnosed in around 76,000 people each year, and results in about 9,700 deaths***. Lawyers are investigating claims for those affected. Anyone diagnosed with melanoma after taking an erectile dysfunction drug is encouraged to visit DrugNews or speak with a lawyer about their legal options. DrugNews only recommends lawyers who have already handled ED skin cancer lawsuits. For more information on the research, side effects and litigation news related to erectile dysfunction drugs and skin cancer, or to speak with a lawyer, visit http://www.DrugNews.net.